6 areas of your office with more germs than a public toilet. 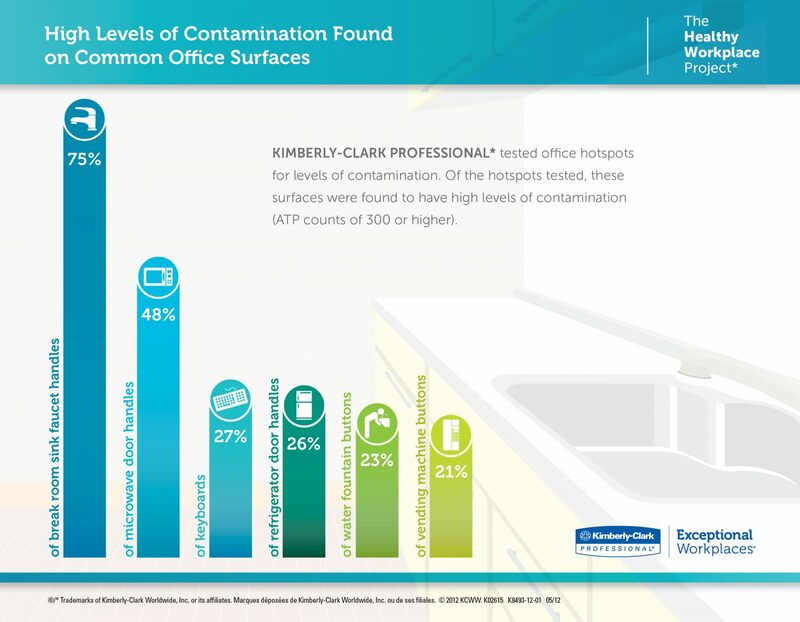 Kimberly Clark Professional performed a study to find out where the germs are hiding in the typical workplace. They identified six germ hot spots and, shockingly, bathroom fixtures are nowhere on the list. Five of the top six are in the break room. That’s right — where you eat! Aside from the ick factor, these high levels of contamination cost business money. Sick workers cost the economy $227 billion a year in lost productivity. 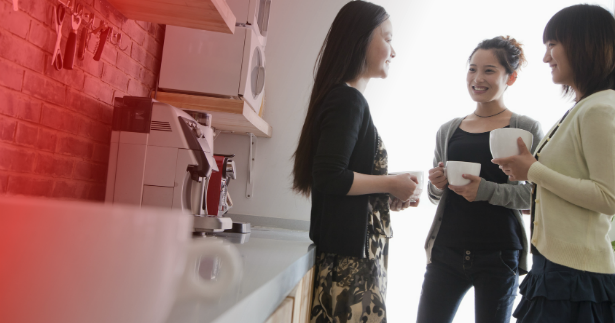 You can slow the spread of germs in the office break room with regularly cleaning surfaces with disinfectants and by fostering good personal habits in workers. Kimberly Clark offers a few tips that have can have a big impact. Encourage workers to wipe down faucets, microwave handles and other surfaces by placing disinfectant wipes out near highly trafficked areas. Reduce the number of germs that end up on surfaces by making hand sanitizer widely available to employees. Make sure there is always hand soap available at the office sink. Regularly hand washing is the most effective way to stop the spread of germs.